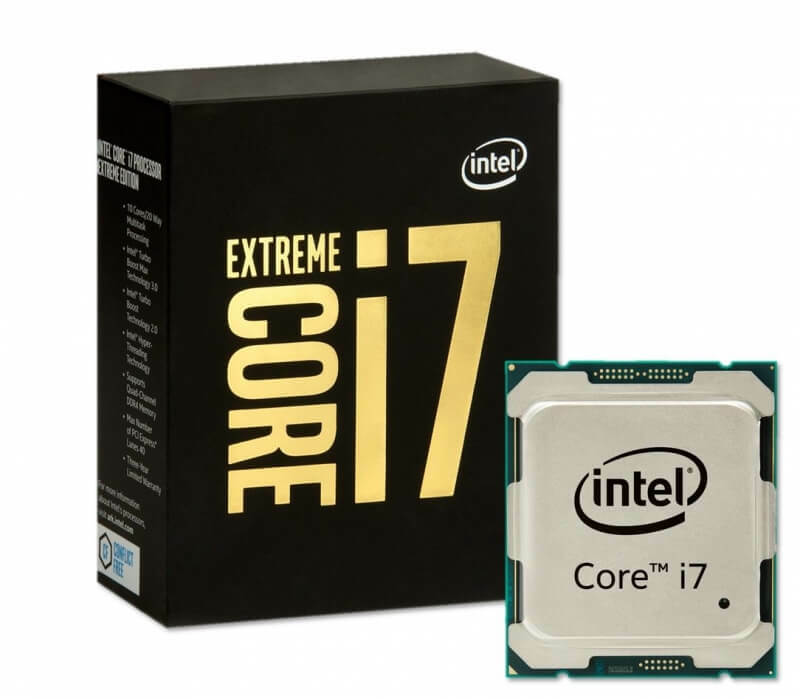 The four new Core i7-6900 and Core i7-6800 CPUs are based on the Broadwell-E architecture. The 6800K ($434) and 6850K ($617) both come with 6 cores/12 threads, and the 6900K ($1089) has 8 cores/16 threads. In addition to its 10 cores and 20 threads, the top-of-the-line 6950X runs at 3GHz with a turbo boost speed of 3.5Ghz, has 25MB of cache, and a TDP of 140 watts. Intel is pushing the new line’s Turbo Boost Max 3.0 Technology as one of the chips’ best features. It identifies the fastest individual core on the processor and is able to boost it beyond normal limits to improve single-threaded performance. This latest iteration of the Turbo Boost feature is up to 15 percent faster than Turbo Boost 2.0, which is also found on the new range. Compared to Intel’s last generation of extreme processors, the Haswell-E line, the new range offers a general performance improvement of around 20- to 25- percent. For specific tasks, the Broadwell-E chips can render 3D graphics 35 percent faster, edit 4K video 25 percent faster, and create 360-degree video 25 percent quicker, according to Intel. Gaming wise, Intel claims the 10-core CPU is 25 percent faster than the 5960X and the frame rate in Tom Clancy’s The Division is able to reach over 85 fps at 1080p with Ultra Settings. The new range also officially supports 4-channel DDR 2400Mhz memory, an increase from the 2133Mhz in the previous Extreme generation and consumer Skylake. Thunderbolt 3.0 is also available as well; the 40 GBps interface, which Intel says is 8 times faster than USB 3.0, will allow users to connect six devices to a single port, including dual 4K displays. One similarity between the Broadwell-E range and the Haswell-E line is compatibility with the same LGA 2011-v3 socket and X99 chipset. Board vendors just need to roll out a BIOS update (which should start arriving today) so users can insert one of the new chips. There’s no getting away from the fact the 10-core i7-6950X is incredibly expensive, but Intel says the chip is perfect for the aforementioned concept of mega-tasking. The company spoke of being able to perform multiple, processor-intensive tasks simultaneously, such as playing a 4K game at 60fps (when paired with a suitable GPU) while encoding the gameplay and sending out a 1080p stream - all at the same time. It will also improve the virtual reality experience and be a huge asset when creating VR content. Spending close to $2000 on a CPU is ultimately the choice of individual users. Having a gaming rig with 10 cores will definitely earn you some bragging rights, and according to Intel's numbers, it can really improve a game's performance. Moreover, if you’re into heavy video editing then the i7-6950X could be a worthy buy. But if you want the best desktop processor available then be prepared to pay the price. Update: Intel has clarified that an earlier version of its presentation that listed The Division's benchmark as being more than 85 fps when compared to a 4-core processor was incorrect. It should have read that the game’s built-in benchmark recorded >85 fps at 1080p with Ultra settings. As I mentioned in the original article, this fps difference did seem like quite a jump.